So what is the Divine made up of? The chuffing fast 1.6-litre turbocharged engine from the new Peugeot RCZ R sits under the bonnet of what otherwise appears to be half car, half expensive bauble. 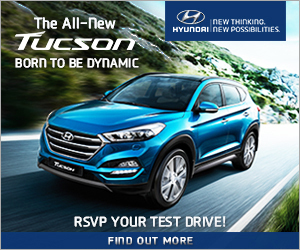 Developing 270bhp and 330Nm of torque, the Divine should certainly be lively to drive. 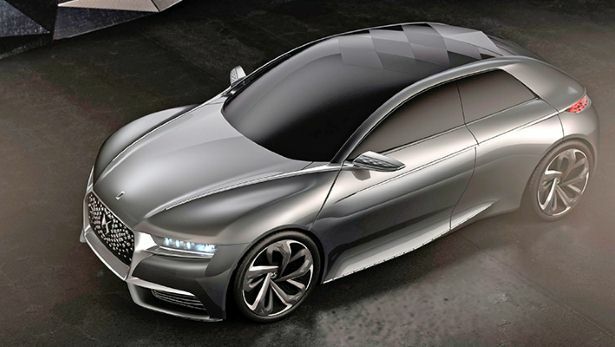 Aside from the engine, a particular French type of concept madness abounds. The roof has been designed to resemble ‘the scales of a reptile'. The craziness doesn't end there: its a mixture of opaque and transparent surfaces are intended to play with light, while there's not actually a rear window. The effect continues at the front, with a grille made up of ‘floating' diamond-shaped pieces of chrome which supposedly reflect light. 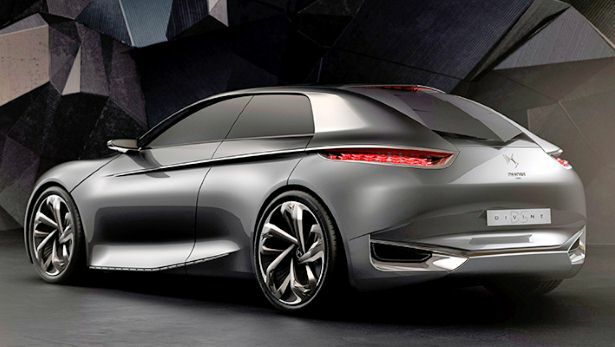 While it all sounds a bit mad, we actually think the Divine looks rather good, and a lot more interesting than the DS4, a car whose replacement it potentially previews. The madness of the exterior gives way to full-blown lunacy once you've opened the doors. 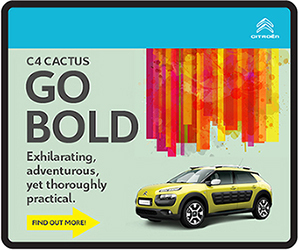 ‘Hyper-typage' is Citroen's addition to the ever-expanding dictionary of annoying concept words, and refers to the bewildering array of customisation options available. Three ‘dress codes' (yes, really) for the dashboard and doors are named ‘Mâle', ‘Parisian Chic' and ‘Fatale Punk'. 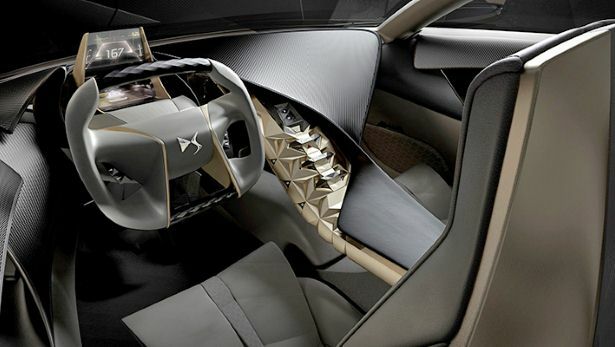 The former uses carbon fibre alongside glazed and burnished leather to give a supposedly ‘highly masculine' ambience. The second adds silk, satin and beads to the mix, lowering the testosterone levels somewhat. Fatale Punk claims to be the most glamorous, incorporating ‘millions' of tiny crystals, courtesy of Swarovski. What else is strange? Well, the dashboard is modelled on a backbone. It folds in half on itself as it slips down into a golden console. Cut stones and gold flecks continue the Divine's ongoing theme of Versace let loose in an Parisian breaker's yard. And you don't actually have a rear window. A 10.4-inch touchscreen doubles as the driver interface and a rear-view camera. 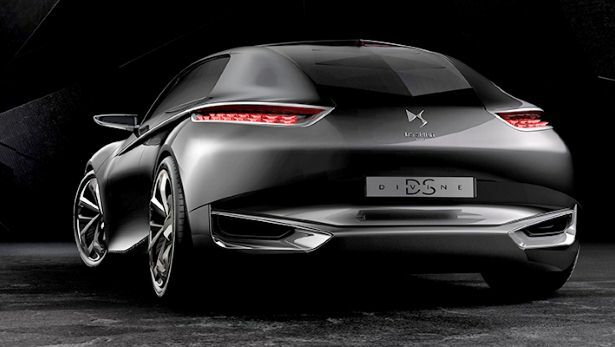 The DS also has new-fangled laser headlights and holographic head-up display. 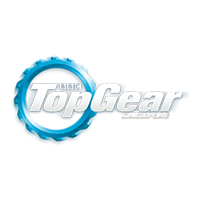 We'll see it in the flesh at the Paris motor show early next month. Beautiful outside, bonkers inside. 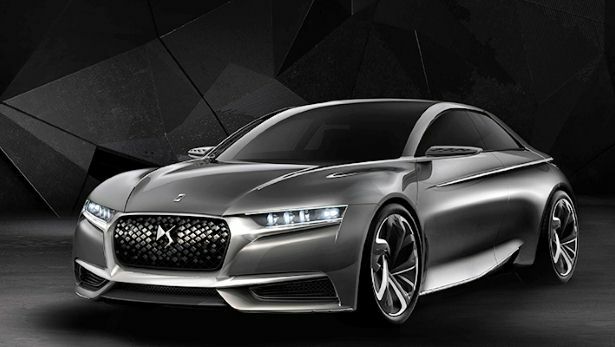 Which bits of the Divine DS should Citroen actually put into production?